We don’t use commission-based sales people to promote our products and services. 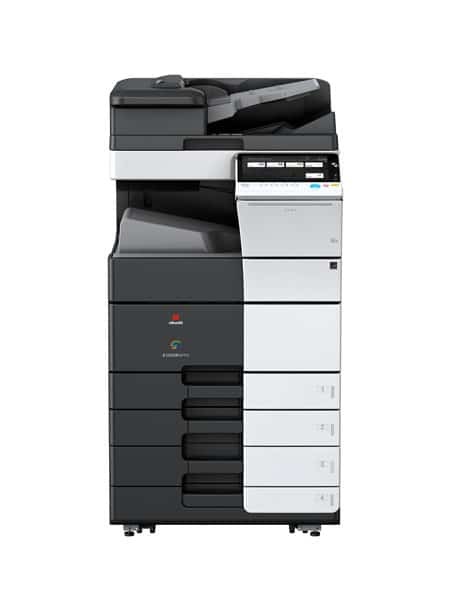 Instead, we aim to provide impartial and expert advice on photocopiers, printers, scanners, faxes and all-in-one machines backed up by quick, efficient and effective after sales care. Our team is made up of qualified, experienced and competent engineers and support staff that are dedicated to providing our customers with a good, reliable and stress-free service. Our mission is to provide our customers with the best in digital office printing, scanning, digital copying, faxing and document management. We aim to help our customers increase their productivity and reduce their printing costs. The low box-price of desktop colour printers has led many companies in recent years to buy them on impulse, without giving due consideration to the running costs. However, their high operating costs mean they are often responsible for a sharp rise in an organisation’s print spend. Sensitivity towards printing costs has grown considerably over recent years as businesses increasingly use colour output in everyday work. As a family-owned independent business based in Bolton serving primarily businesses in the Bolton and the North West we can advise customers on the most cost-effective solutions to their business needs. On new machines, we offer a 7-year warranty when a maintenance contract is taken out with us. On reconditioned machines, we offer a 5-year warranty when a maintenance contract is taken out with us.